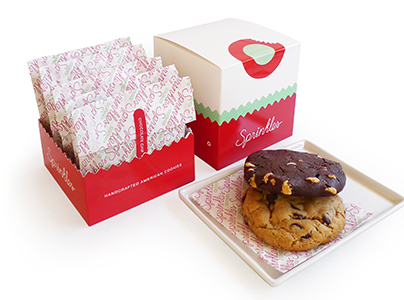 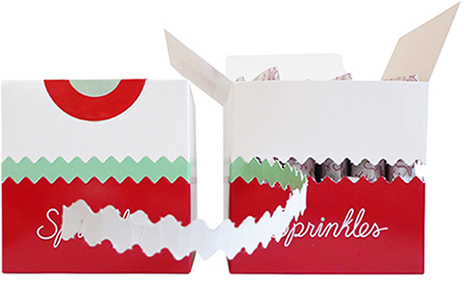 Sprinkles expands to include cookies, merging these with cupcakes and ice cream and extending the brand’s motifs. 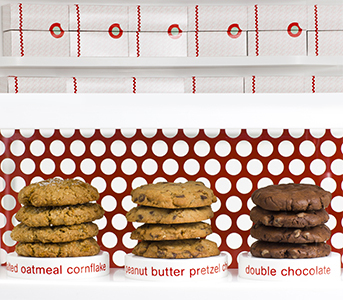 The festive Cookie Cube converts into a serving tray, an inventive way to share cookies with friends, while the gift box gathers a dozen individually wrapped cookies. 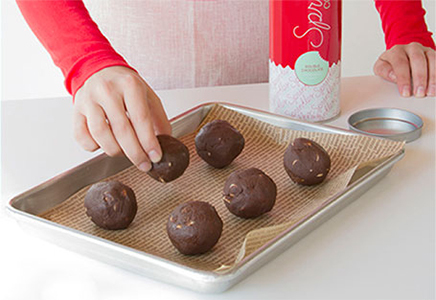 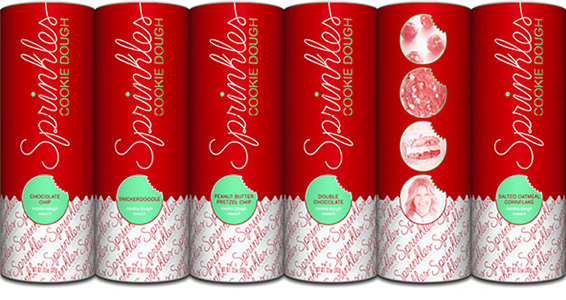 Sprinkles frozen cookie dough, to bake at home, comes in color-coded cylinders and was featured in Oprah Magazine’s O list, in December 2013.